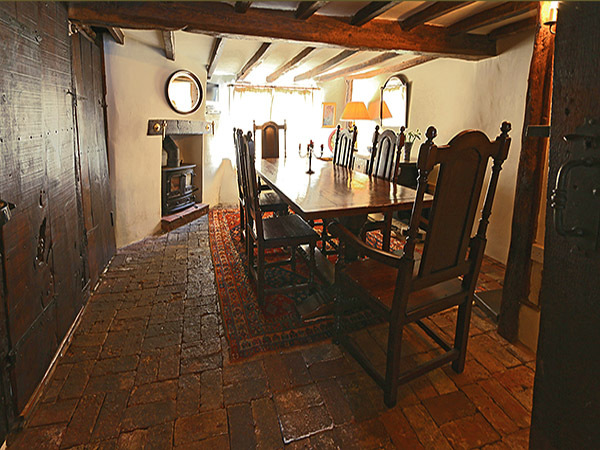 Oak baluster leg pedestal dining table and period style oak side chairs and armchairs, fit perfectly in the dining room of our clients ancient oak framed Buckingham home. All the pieces are from our semi-bespoke Berwick range and were commissioned as a package. There are options for six side chairs, as well as upholstered seat and fully upholstered versions. 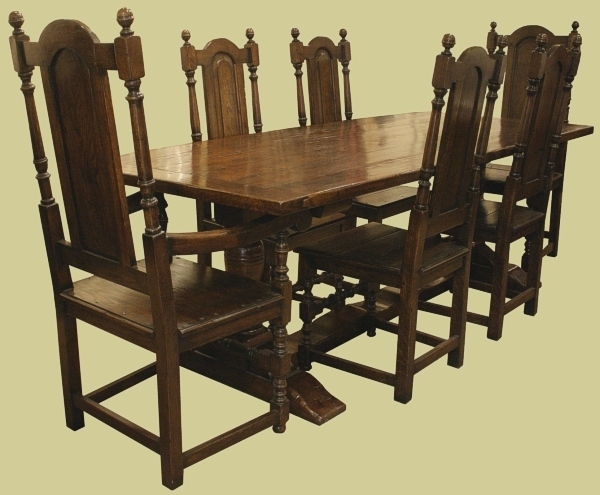 Click on the link below, for details of this superb value route to furnishing your traditional dining room.